Sneakers are enjoying a huge fashion moment right now. We’re at a point where it’s completely socially acceptable to wear sneakers outside of the gym or a sport, and that’s amazing because sneakers are so comfortable! I’ve seen models wearing sneakers with high fashion outfits in magazine spreads, I’ve seen important fashion editors sporting them at New York Fashion Week, and I’ve seen many a pair pop up on some of my favorite style blogs. Slip-on sneakers are particularly big right now, but if you’d rather go for something a little more sporty and fun, you need to go for regular sneakers – you know, like Nike, Adidas, New Balance, etc. Take advantage of one of the comfiest fall fashion trends, and get yourself a pair of sneaks that you can wear with anything. Not sure how to go about it? I wasn’t either, since I’m so used to pairing my sneakers with workout leggings. 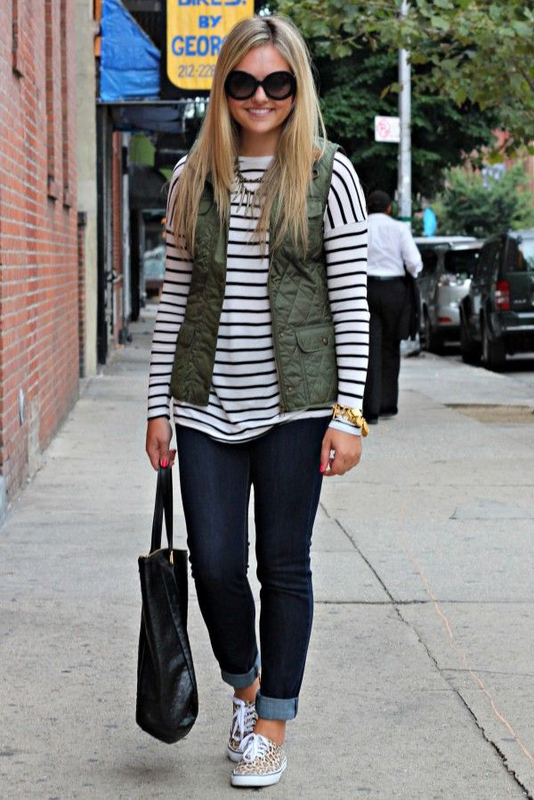 Here are 20 style tips on how to wear sneakers – which are way more versatile than you thought! 1. Keep it simple with jeans, a tee and a beanie. This literally could not be easier. 2. Wear a colorful pair with an all-black or white outfit to give a much-needed fun pop of color. 3. Wear an embellished pair with a simple dress and jean jacket for a cute fall look. 4. A midi skirt looks instantly younger and more casual when worn with sneakers. 5. Sneakers with shorts and tights is unexpected and very street style cool. 6. 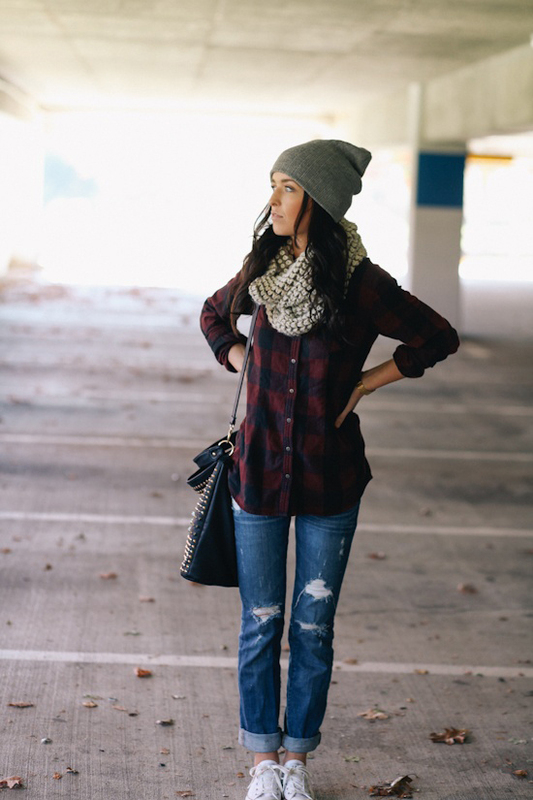 Sneakers with a plaid shirt, scarf and beanie makes the perfect fall outfit. 7. Make your maxi dress work for colder weather by adding sneakers and a cute jacket. 8. Keep things simple with skinny jeans, a cardigan and a scarf. The sneakers keep this look super casual. 9. Get a printed or patterned pair and wear them with classics, like striped shirts, for an unexpected twist. 10. Make a little dress work for fall with a long sweater, a scarf and cute sneakers. 11. Roll up your jeans to show off your sneakers! 12. You can make a button-down more casual and relaxed by wearing it with sneakers. 13. A glittery sequin skirt is totally daytime-appropriate when worn with sneakers and a denim jacket. 14. A maxi skirt with sneakers is unexpected, but looks super cute. 15. A mini skirt and a sweatshirt go nicely with sneakers. Add bold lipstick and big sunglasses for glamour. 16. Relaxed printed pants and sneakers make the most comfortable outfit ever. 17. A basic tee and jeans get much more interesting with a statement necklace and sneakers. 18. Make leather pants look more casual by adding sneakers. 19. 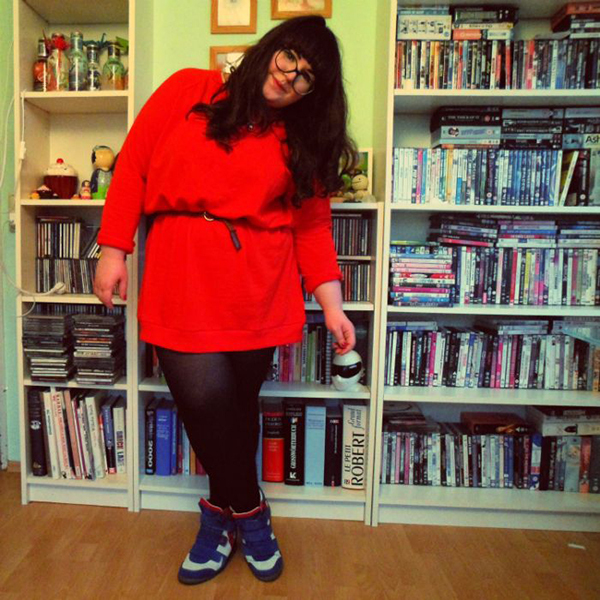 To make a dress and tights look perfect for school, just add sneakers. 20. Sneakers also make a blazer look less professional and fancy.